Wool Throw from traditional Swedish family run business Klippan. Klippan is a family run business which started in Sweden in 1879 and is a leader in home textiles. Klippan is known for its high quality in design and usage of pure fibres and offers unique products such as blankets, throws, cushions, table linen and home decoration and a separate children’s collection. According to Klippan’s philosophy, only natural fibres for the products are used such as wool, linen and cotton. High quality fibre is essential for the final result. Klippan is one of very few producers of this kind remaining in Europe. To be able to manage the production and fully control the quality Klippan produces all the blankets and throws from start to finish in their own factory. All Klippan’s lamb’s wool comes from New Zealand and the wool can be traced all the way back to the individual sheep farmer. This means that Klippan can ensure high quality and at the same time be environmental friendly. 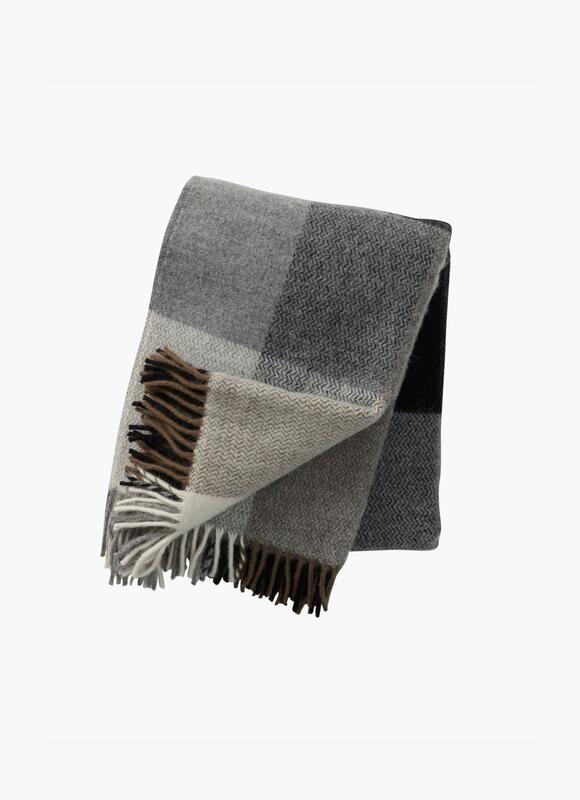 For the last few years Klippan has also been able to offer throws and blankets made of wool from farmers running sheep breeding using ecological principals (eco wool).